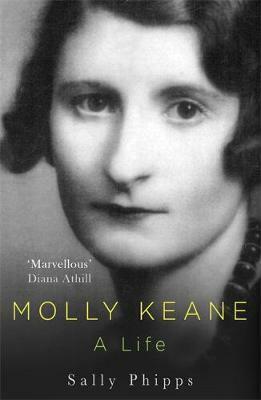 Molly Keane (1904 - 96) was an Irish novelist and playwright (born in County Kildare) most famous for Good Behaviour which was shortlisted for the Man Booker Prize. Hailed as the Irish Nancy Mitford in her day; as well as writing books she was the leading playwright of the '30s, her work directed by John Gielgud. Between 1928 and 1956, she wrote eleven novels, and some of her earlier plays, under the pseudonym M.J. Farrell. In 1981, aged seventy, she published Good Behaviour under her own name. The manuscript, which had languished in a drawer for many years, was lent to a visitor, the actress Peggy Ashcroft, who encouraged Keane to publish it. Here, for the first time, is her biography and, written by one of her two daughters, it provides an honest portrait of a fascinating, complicated woman who was a brilliant writer and a portrait of the Anglo-Irish world of the first half of the twentieth century. Sally Phipps is Molly Keane's daughter.